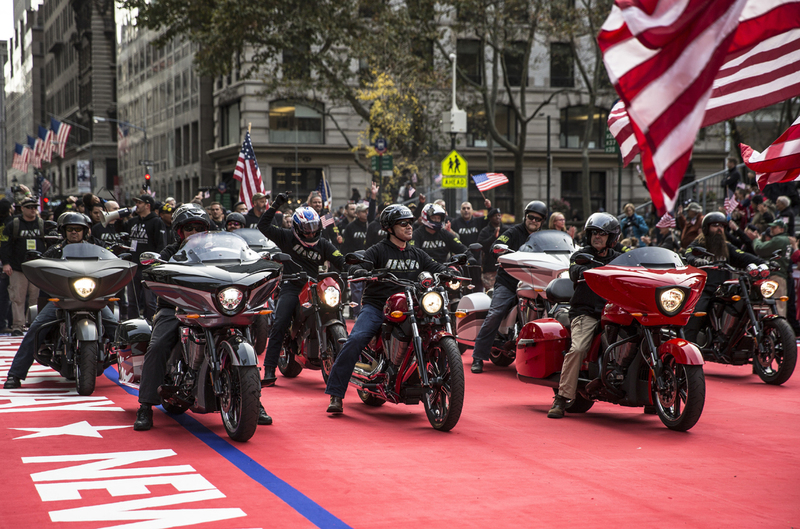 Thousands of true celebrities and real heroes gathered in New York City on November 11, 10 of which enjoyed the special day from the seats of Victory Motorcycles. The event was America’s Parade, the nation’s largest Veterans Day parade, which runs down Fifth Avenue in Manhattan. On a day that started with drizzle and blossomed into a sunny, mild fall day, thousands of veterans and currently serving military personnel gathered for the parade and to enjoy special camaraderie. By coming together, veterans got the chance to see old friends, make new ones and recall their service to their country. The parade also gave tens of thousands of onlookers the opportunity to loudly salute the veterans for their service and sacrifices. 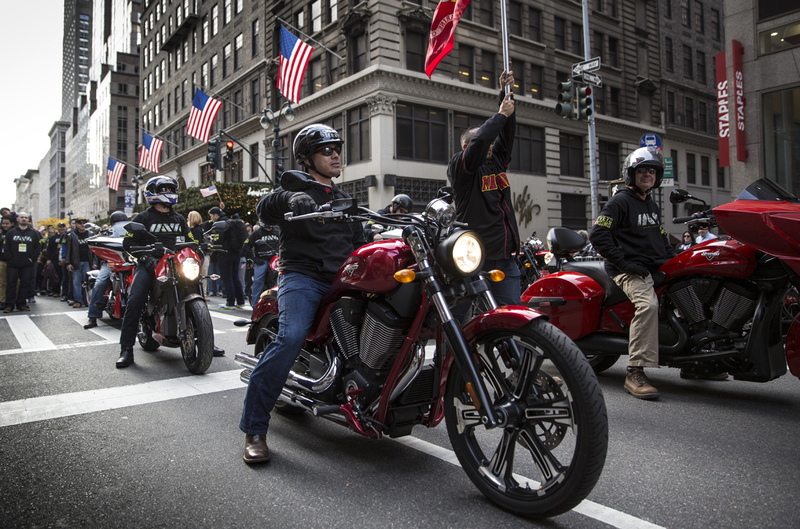 For the second straight year, Victory provided a fleet of motorcycles to IAVA, the nation’s new generation of veterans who have served overseas. They enjoyed riding the Victory motorcycles, of course, and they really enjoyed the outstanding reception they received from parade-goers. The veterans were cheered, they shook hands, were embraced, saluted and thanked over and over. It was a proper, well-deserved salute to true heroes. • Jeremy Karsten served in the U.S. Army Reserve from 1996-2004, achieving the rank of sergeant while working in the military police. He was deployed twice, spending 10 months in Germany in support of Operation Joint Guardian and working 15 months in support of the Global War on Terror, a stint that included a year in Iraq. Jeremy was a winner of the Victory-IAVA sweepstakes, and the “experience” he won was the opportunity to take part in Veterans Week activities in New York City. Along with riding a Victory Gunner in the parade, Jeremy and his wife Chandra went sightseeing in New York, toured the 9/11 Museum and attended the IAVA’s 9th Annual Heroes Gala. • Rob Stambaugh was in the Marines from 1979 to 1983 and the U.S. Navy from 1988 to 2009. He deployed to Europe, Central America, Thailand, Afghanistan and Iraq. Rob is an Emergency Physician at the Chesapeake [Virginia] Regional Medical Center. • Henry Phillips served in the U.S. Marine Corps and Army for 14 years. He is earning a dual degree at Sierra Nevada College, where he founded a student veterans club. Henry is a certified Nevada Veterans Advocate and he runs a nonprofit called the Mountain Kings Motorcycle Club Family, which helps disadvantaged veterans reintegrate into the community. • Aaron Endel served in the U.S. Army from 2006-2009 and was deployed to Iraq. Aaron currently serves as School Certifying Official for VA education benefits at Western Nevada College, helping veteran students secure their VA education benefits. He is also an active member of the Mountain Kings Motorcycle Club Family. • David Dickerson of Oklahoma served in both the U.S. Navy and U.S. Army and was deployed in Desert Storm, Iraq and Afghanistan. David is an IAVA team leader who was instrumental in advocating for the passage of the Clay Hunt SAV Act. 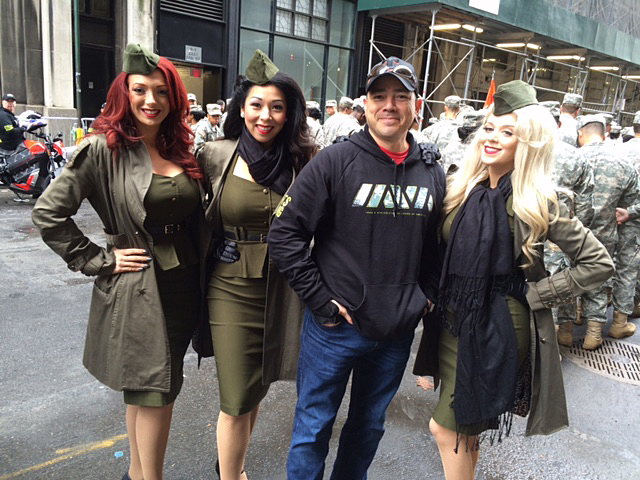 Victory riders might have seen David manning the IAVA booth in the Victory display at events like Daytona Bike Week, Sturgis and the 2015 Hot Bike Tour. • Juan Camacho of New York is a member of the U.S. Marine Corps Reserves and deployed twice to Iraq. He currently works for a service firm as an IT professional. • Andrew Stephan of New York spent 10 years on active duty with the U.S. Army as an Information Technology Specialist, and the last eight years in the National Guard. He was deployed to Afghanistan from 2012-2013 and still serves today, passing along knowledge and experiences to those that will someday replace him. • Robert Martinez is a still serving as a medic in the U.S. Army and has deployed numerous times to locations including Germany, Romania, Bulgaria, Iraq and Afghanistan. He has provided aid in the heat of fierce combat as he and his team accessed wounded troops via medical helicopter. Once he completes his service, “Marty” will head back to school to earn his college degree. • Giovanni Taveras of New York served in the U.S. Navy in the submarine force and did two tours in the Gulf between 1987-1992. He has run his own IT company for the past eight years and he founded and operates the New York State Veteran Chamber of Commerce, which helps veterans get jobs and start their own businesses. A motorcycle rider for 17 years, he rode a Victory Empulse TT in the parade. • John Veon of New York is a veteran of Operations Desert Shield and Desert Storm. He served as a paratrooper in an infantry platoon with the 82nd Airborne Division and later became a sniper with the battalion recon element. In 2015, John made a solo 10,000-mile cross-country motorcycle ride in partnership with IAVA to raise awareness for the rising rate of veteran suicides. His project raised nearly $9,000 for IAVA. He hopes to raise even more money and awareness on his next 2-wheeled adventure in support of IAVA. Following the parade, the Victory riders parked the bikes and joined IAVA members for a lively post-parade IAVA “VetTogether” in Midtown Manhattan. The next evening, IAVA held their 9th Annual Heroes Gala, a fundraiser and celebration of IAVA’s growth, progress and partnerships. The honorees included Polaris Chairman and CEO Scott Wine, who received the 2015 IAVA Civilian Leadership Award in recognition of Victory Motorcycles’ contributions as a strategic partner to IAVA. Wine is a 1989 graduate of the U.S. Naval Academy and a U.S. Navy veteran. Videos of his acceptance speech and other gala highlights can be found here. 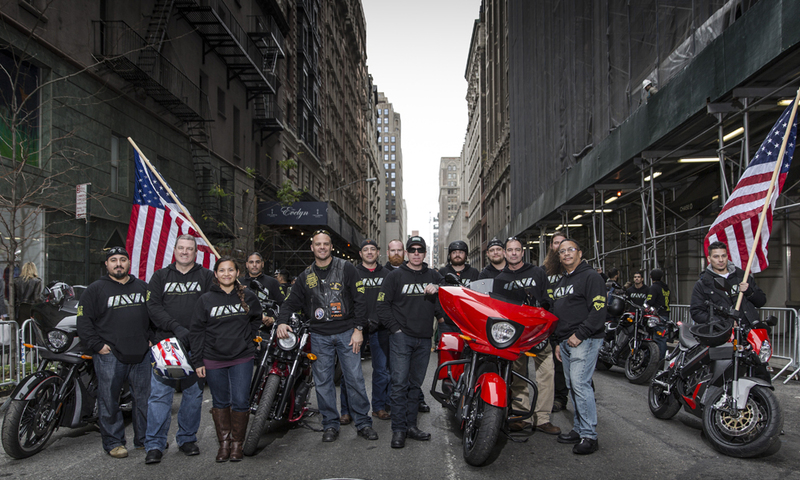 Along with joining IAVA for activities the week of Veterans Day, Victory is currently honoring military veterans with “The Road Home,” through which Victory contributes $500 to IAVA for every new Victory motorcycle sold in November and December 2015. 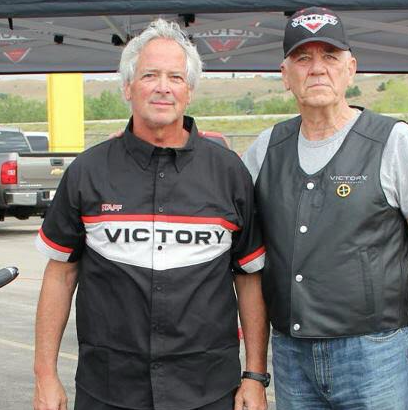 Victory has also provided IAVA with space at its displays at major motorcycle events so IAVA can raise awareness and connect with veterans. Victory also proudly supports all military personnel, military veterans and first responders with “Hero’s Metal,” which provide these individuals with $1,000 off the price of any new Victory. Complete details are available at Victory dealerships and at www.VictoryMotorcycles.com. This blog was originally published on VictoryMotorcycles.com.